TThe nearest metro station to the quaintly designed Amexx Residency is the Phase-1 on Rapid Metro. Travellers can also use the Sikanderpur Metro on the Yellow line. The Qutub Plaza is located quite close to this place.The fat foam mattresses, the cushioned headboards and the thick patterned drapes blocking the outside light offer a cosy stay in the place. The highlighted walls have a beautiful pattern. The paintings on the walls also attract attention. The rooms get the necessary comfort with AC and TV. The free Wi-Fi available through the compound ensure a comfortable stay. 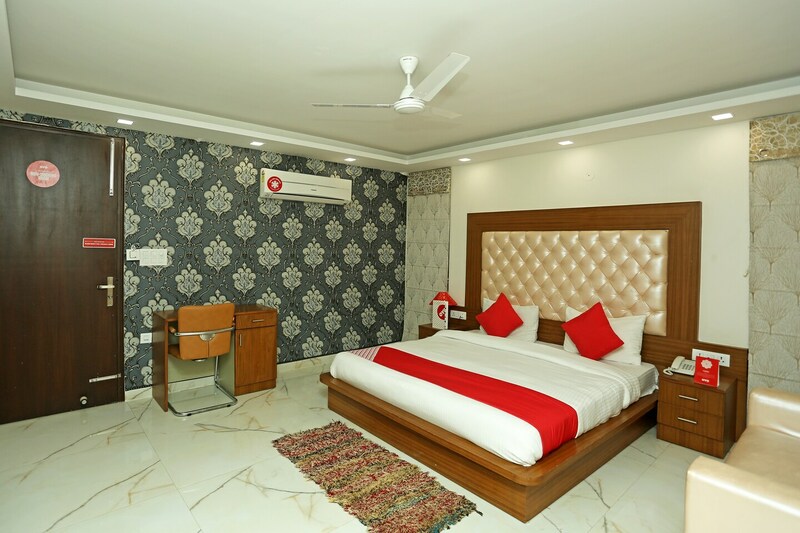 The place also has king-sized beds and guarantee a sound sleep for weary travellers.Hungry travellers have options like Jalsa Restaurant, Kaiser, MISO, Pizza Hut, Madhuban, Rule The Rolls, Dana Choga, My Biryani and lots of others.